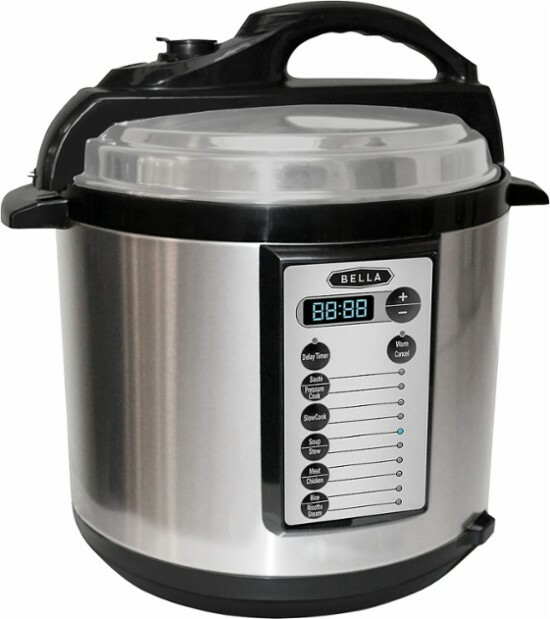 Savvy Spending: Today only: Bella 6 Quart Pressure Cooker for just $39.99 shipped, plus free Bluetooth Speaker! Today only: Bella 6 Quart Pressure Cooker for just $39.99 shipped, plus free Bluetooth Speaker! Wow! Check out this HOT deal! At Best Buy, you can get this Bella 6-Quart Pressure Cooker for only $39.99 shipped (regularly $79.99). Plus you get a FREE Insignia Bluetooth Speaker with Google Assistant with this purchase. Start at Top Cash Back for an additional 1% cash back in your account!